It's Gromit's birthday on 12th February so to celebrate this momentous occasion we've put together some fun facts* and trivia about one of the world's best-loved canine creations. As he turns the grand old age of 32 years old (yes, really!) we look back over the key events in Gromit's life so far, including some really interesting tid-bits of little-known info. Enjoy! 2. The idea for Gromit evolved from some very early sketches Nick Park drew in his student sketchbooks. Back then, Gromit was a cat and Wallace was a postman, but after some tweaking over several years they came to life as the Wallace & Gromit we all know and love. 3. 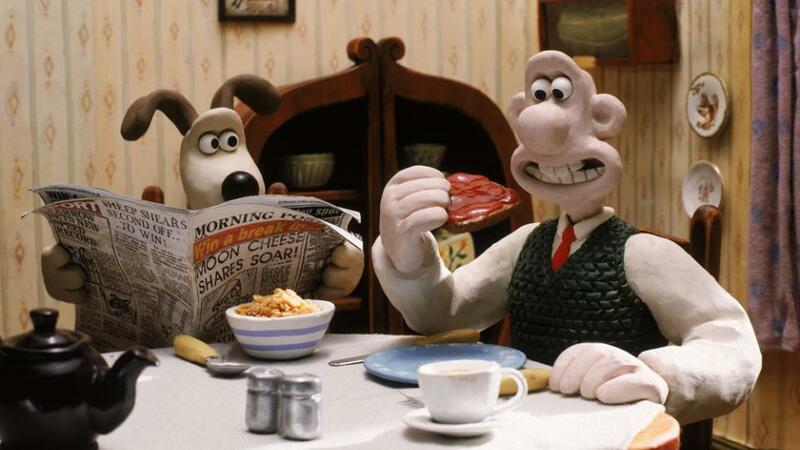 Although Gromit has never spoken in any of the Wallace & Gromit films, he was originally created with a mouth. Nick Park's early sketches of Gromit show him as being larger and rounder, too. 4. Gromit is left-handed (or pawed! ), hinting at his intelligent, creative streak. 5. Gromit's name was inpsired by Nick Park's older brother who was an electrician and could often be heard talking about grommets - rings or washers used in the trade, Nick thought this would make a great name for his canine creation. 6. In the first full-length Wallace & Gromit film, The Curse of the Were-Rabbit, around 43 different Gromit models were used, each for a different type of shot. 7. It takes around 30 animators to create Gromit's performance on film. These skilled animators have to painstakingly animate every aspect of his movements. The hardest parts of Gromit to animate are his paws. 8. Gromit is made entirely from modelling clay, apart from his eyes and nose, which are simple beads, and the armature that runs through his body, like a skeleton. Just like most of the other characters created by Aardman Animations, Gromit is made from Newplast, a modelling clay made in Newton Abbott, Devon. 9. Gromit was originally going to be a talking dog, whose voice was recorded by veteran voice actor Peter Hawkins (who also provided voices for the Daleks and Cybermen in Doctor Who). But when Nick Park saw how expressive Gromit could be just through using small movements of the eyes, ears and brow, his voice was dropped. 10. Gromit is so popular in Holland that they named a brand of cheese after him. 'Gromit Gouda' is only available to buy in the Netherlands where it is usually served with speciality Dutch mustard. 11. During the filming of 'A Grand Day Out' Gromit is seen welding. A sparkler was used for effects but during filming the set caught fire, causing Gromit's welding nozzle to melt. Thankfully this didn't really show up in the final cut! 12. In 1996 Nick Park flew out to New York on a publicity tour, taking the original Wallace & Gromit models from A Close Shave with him. On arrival at his hotel Nick realised the models were missing! They'd been left in the back of a New York taxi and Gromit and his human companion were lost somewhere in the Big Apple for a full 36 hours before being found safe and well! 13. Gromit’s first appearance in a commercial was for a Japanese snack producer, Glico. Gromit advertised Glico’s Putchin Pudding, a sort of crème caramel dessert. Clad in funky sunglasses, Gromit appears boogieing along to a Japanese pop song. 14. Gromit first came to computer screens in 2003 when the first Wallace & Gromit game was launched. Entitled Project Zoo, the game allowed players to take control of Gromit as he investigated strange goings-on at a zoo. Nick Park was adamant that Gromit shouldn't die in the game so the developers had to come up with ways to keep the game challenging while keeping Gromit alive and well! 15. Gromit has appeared on a huge array of merchandise and memorabilia over the years, with Japan producing some of the most original items on the market. One such item was a folding Wallce & Gromit bike which Nick Park used to get around the studio on! 16. Gromit has been launched into space...well, a robot named after him has. It was sent by NASA to explore Mars back in 2005. 17. Gromit's star sign is aquarius. Those born under this star sign tend to be intellecutal types, which might explain Gromit's love of high-brow literature and philosophy - two of his favourite books are Crime and Punishment by Fido Dogstoyevsky and Pluto’s The Republic. 18. Gromit became the star of the streets of Bristol in 2013 when 80 individually designed Gromits were placed in various locations across the city, from the airport to shopping centres in a project named Gromit Unleashed. The gromits were auctioned at the end of the trail and raised £2.35million for the local Children's Hospital. 19. But not all the Gromits were located in Bristol - 'Classic Gromit' was located at London's Paddington Station. 20. When the Gromit Unleashed Gromits were auctioned off to raise money for charity, the Gromit to get the highest bid was Gromit Lightyear, which was designed by the team at Pixar. It raised a whopping £65,000! *One of the facts on this page is actually made up - can you guess which one? Add a comment below and tell us what you think!